It's well-known that tried and tested tools are the best kind to use when out in the field. The last thing you want to happen is for an ultra-modern and unfamiliar tool to break on you when you need it the most. 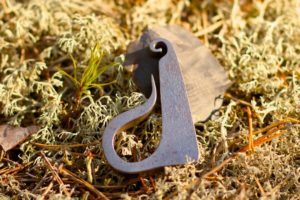 When it comes to starting a campfire for warmth, protection from wildlife and heating up your supper, you need a trustworthy and simple tool you can truly rely on. This tool is the traditional fire steel. What is a Fire Steel? Unlike modern lighters and matches which depend upon certain chemical reactions to create combustible materials, the fire steel relies only upon the production of hot slivers of metal when used in combination with a piece of flint. Whereas your matches can get wet and your lighter can run out of fuel, it is pretty difficult to render a fire steel useless. As long as your tinder and kindling are dry, a traditional fire steel will work wonders every time. In fact, ancient tools of this description still produce sparks even after spending hundreds of years underground before being excavated by archeologists. Why Use a Fire Steel? Simply put, reliability is a far more important factor than any other when you are out in the wilderness. It's no good having the latest flashy tech if it's prone to breaking or failing to work at a crucial moment. As such, you need to carry only the tools upon which you can rely 100% of the time. This is not to mention the fact that making a fire from sparks produced using a fire steel is a highly fulfilling and even beautiful way of providing yourself and your fellow campers with the means to cook meals, make hot beverages and even keep wild animals like bears at bay. You can easily order a hand forged high carbon fire steel from artisan blacksmiths who have preserved the knowledge of our ancestors. This is one tool you simply cannot be without if you consider yourself a true woodsman. Take a look at the high-quality products available online today. At Flint and Steel, we make all of our our high carbon fire steels by hand, using traditional methods that have been passed down in our family for generation upon generation. Check out our comprehensive range of high-quality products available online today. Whether you want a full fire making kit, a steel striker or just need to stock up on flint or char cloth, Flint and Steel has got you covered.